There is an amazing San Clemente dentist right off the freeway. A local dentist available for providing superior care. Talking about Dr. Eric Johnson located in San Clemente, CA. 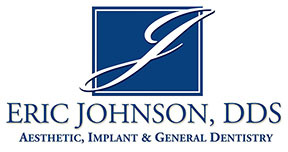 "Dr. Johnson and his staff go above and beyond to make you feel so welcome and comfortable. I truly appreciate the kindness from each and every person in this office and I will highly recommend to anyone looking for a great dentist." "I feel like I am coming home to family in Dr Eric Johnson's office. I am not simply a patient, but rather a person, with a name, with a history, with fears and concerns which are respected and attended to. This is caring, gentle, painless dentistry. Starting at the top with Dr. Johnson and filtering down to every person in the office, kindness and respect rule. I wonder if the Doctor of Divinity along side Dr. Johnson's Dental credentials has anything to do with it??" "This is a highly professional office functioning with the most up-to-date equipment, with a highly trained and experienced staff, and friendly almost family atmosphere." That phrase, "family atmosphere" is maybe one of the best things about Dr. Johnson and his "dental team" as his staff is warmly referred to. That's because the office is run less like a business and more like a family operation and people see that. Last year, Orange Coast Magazine, has recognized Dr. Johnson as among the "Top Dentists in Orange County" for 2014, so the news about this popular San Clemente dentist is getting around. Residing in or around the south Orange County beach cities, it's well known Dr. Johnson's reputation is stellar. The San Clemente dentist some folks are obviously calling the best dentist ever visited. Make an appointment with Dr. Johnson, After all, getting great dental services is important, and adding in the convenience factor of not having to drive too far for an appointment, it's a winning combination.